Below are excerpts from a statement issued by Rev. Dr. Matthew C. Harrison, president of my church body, The Lutheran Church – Missouri Synod (LCMS), in response to a recent HHS decision which affects religious freedom. We are deeply distressed by the U.S. Department of Health and Human Services’ (HHS) recent decision to require nearly all private health plans, including those offered by religious employers, to cover contraceptives. This will include controversial birth-control products such as “Ella” and the “morning after pill,” even though the FDA warns that such drugs can cause the death of a baby developing in the womb. The LCMS objects to the use of drugs and procedures that are used to take the lives of unborn children, who are persons in the sign of God from the time of conception, and we are opposed to the HHS’ decision mandating the coverage of such contraceptives. This HHS action relates to a provision in the “health care reform” legislation (the Patient Protection and Affordable Care Act) signed into law in 2010 . . . 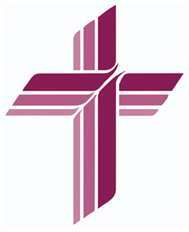 The Concordia Health Plan (CHP), the LCMS church workers’ health plan, has been maintained as a “grandfathered” plan. As such, employers and workers participating in CHP would not be subjected to the mandate. However, many religious organizations do not have grandfathered plans and cannot avail themselves of the extremely narrow religious-employer exemption, which only is applicable to religious employers that primarily serve and employ members of their faith. For centuries, Lutherans have joyfully delivered Christ’s mercy to others and embraced His call to care for the needy within our communities and around the world. In a nation that has allowed more than 54 million legal abortions since 1973, we must consider the marginalization of unborn babies and object to this mandate. In addition, I encourage the members of the LCMS to join with me in supporting efforts to preserve our essential right to exercise our religious beliefs. This action by HHS will have the effect of forcing many religious organizations to choose between following the letter of the law and operating within the framework of their religious tenets. We add our voice to the long list of those championing for the continued ability to act according to the dictates of their faith, and provide compassionate care and clear Christian witness to society’s most vulnerable, without being discriminated against by government. The LCMS, a church body of sinners redeemed by the blood of Jesus, has affected the lives of millions of people with care, aid, housing, health care, spiritual care and much more. We have been a force for good in this nation, promoting education, marriage and giving people the tools and assistance to be good citizens. We live and breathe Roman 13:3-7. The governing authorities are “God’s servant for good.” We pray for our President and those in authority . . . I handed this out in Bible class yesterday and discussed it for a little bit. Also the Susan B. Kommen thing.